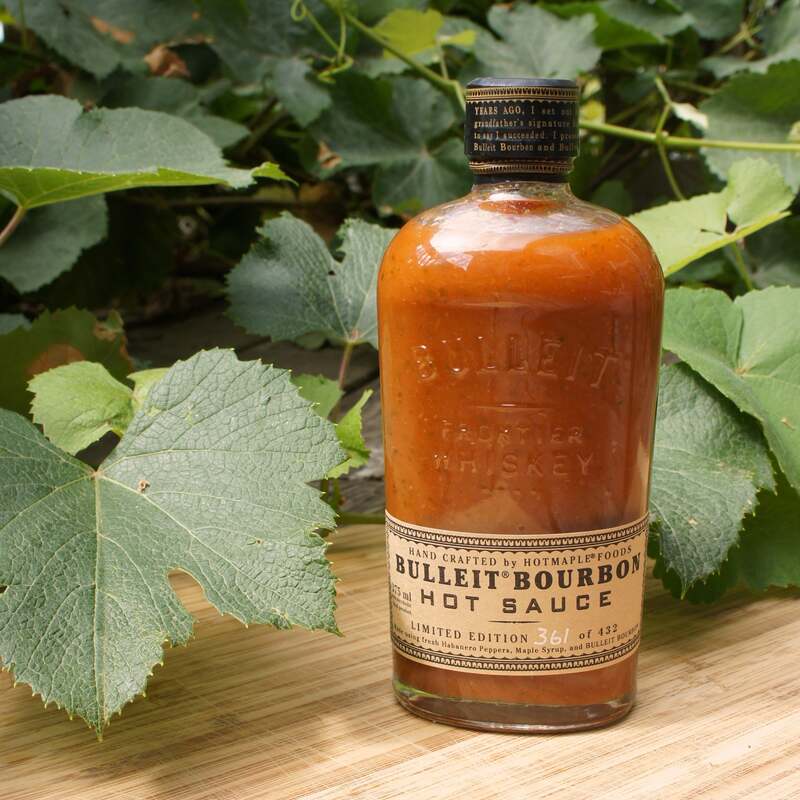 Portland, Ore. (August 23, 2015) – Hotmaple Foods, LLC is pleased to announce, as part of a collaborative partnership with BULLEIT® BOURBON, the creation of the very first “BULLEIT® BOURBON HOT SAUCE.” Packaged in BULLEIT® BOURBON 375ml glass bottles, the special limited edition offering is limited to 432 bottles and is not available for sale to the public. “We are excited to have been a part of such a unique collaborative project with our friends at Bulleit. 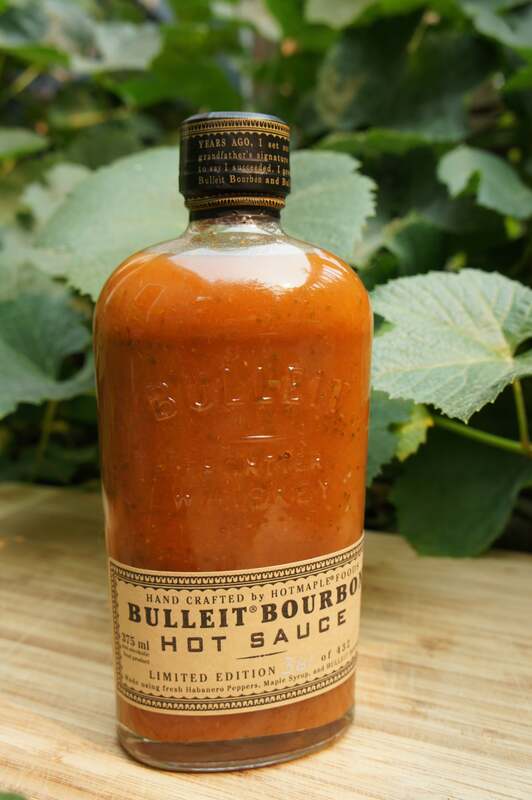 The sauce we crafted takes the high-rye, award-winning flavors of Bulleit bourbon, and combines them with the rich subtleties our customers have come to enjoy from our Hotmaple Smokey Habanero sauce.” said Matthew Hilla, founder of Hotmaple Foods, LLC. We collaborated with our friends at Bulleit® to bring you this limited edition of our traditional “Hotmaple® Smokey Habanero” sauce, combined with the bold, spicy character of high-rye, award winning Bulleit® Bourbon. This hot sauce is a one-of-a-kind taste experience that will impart a rich, savory flavor to your meals. Founded in 2013 and headquartered in Portland, Ore. Hotmaple Foods, LLC is a small-batch hot sauce maker that utilizes Maple Syrup combined with Habanero peppers to create original and unique hot sauces. Hotmaple was founded with the intent to utilize seasonal crops from the Pacific Northwest to craft specialized flavor profiles in limited edition runs for partners, and direct to consumer sales. Their signature sauce, Hotmaple Smokey Habanero, is available in local grocery stores such as New Season’s Markets, as well as regional wholesalers.